5 april 2010 | In Books Self-indulgence | Comments? I’ve written precisely one text about aesthetics, and used as a kind of motto this quote from Graham Greene’s (wonderful) novel Travels with my aunt: ”Sometimes I have an awful feeling that I am the only one left anywhere who finds any fun in life”. 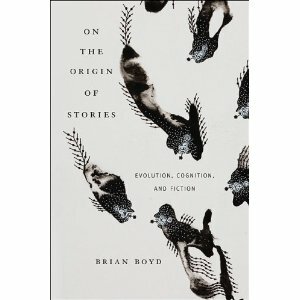 I’m reading Brian Boyd’s ”On the origin of stories” and the feeling is slowly subsiding. 31 januari 2010 | In Books Hedonism Self-indulgence | Comments? And now it happened again, in the work of Sharon A Hewitt. The most striking resemblance of my view and hers is our claim that goodness and badness are basically phenomenal properties: the experiences of pleasure and displeasure. ”Feeling good” is, in fact precisely that: having that feeling which goodness consists in. 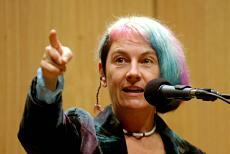 I would like to praise her work, because it is really quite brilliant, but it seems to me that modesty forbids it. We have not been in contact while working on our respective dissertations, so either there is a common source (and Katz’ work might very well be it. That, or C.I. Lewis’ ”An analysis of knowledge and valuation”), or we have some sort of snail-telegraph thing going. I write occasionally on this blog called ”the Happiness Blog” (in swedish), which is mostly about psychological, behavioral and political strategies to increase happiness. It’s a fairly honourable pursuit, and the research it is based on is fascinating both in its robust results and in the large areas of it that are still very much up for discussion. A big problem, (as I’ve noticed in the mixed reception of my own vain attempts for media attention), is that the criticism vastly underestimate the complexity of the happiness researchers claims. While I’m actually quite pleased that books with some scientific credentials is budding in on the self-help market, it also opens up for poorly researched self-help books to dress up as science. While happiness-reserachers, often believe that even poorly reasoned self-help books might do more benefit than harm, its important to keep a certain distance. At least if we want the coverage, and the discussion, to become more nuanced and the full complexity of the research be allowed to surface. 21 september 2009 | In Books | Comments? In one of David Lodge’s campus novels (”as opposed to what?” I hear you say. ”His social-realistic stories set in the rural south? They’re all campus novels”. Fair point) we come across the parlour game ”Humiliation” . Each participiant writes down the name of a book he or she hasn’t read. The winner, in a purely technical sense, is the participant whose choosen book has been read by the largest number of participiants (Hint: writing down ”the Da Vinci Code” doesn’t work half as often as you might think. It neither wins you the game, nor endears you to your friends). The name of the game, I take it, is fairly self-explanatory. In the novel (”Nice work”, it might have been. Or ”Small world”), a professor of english literature, desperate to win, owns up to not having read ”Hamlet” and is subsequently fired from his position. Anyway, I’m just about to loose my winning entry for this game. 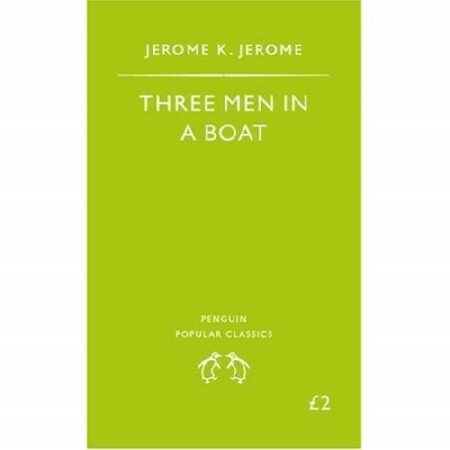 I’m finally reading ”Three men in a boat”. The fact that I haven’t read it already is not so much humiliating, perhaps, as inexplicable. Not only is it the hands down, drop dead funniest book I’ve ever read, it is also, arguably, the source of everything that have been funny every since. Literary slap-stick at its best, and a grand festival of non-sequiturs. It is also an excellent display of that celebrated, scorned and recently hotly debated comic device: the cutaway joke. Done well, as it is in ”three men”, it doesn’t bring the story to a screetching halt, or it does, but you don’t mind. 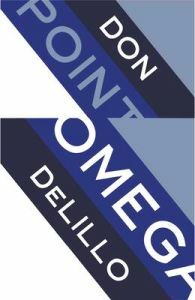 The point is that what’s beside the point (or beside the plot, anyway), just is the point.